The big story is, once again, the tensions in the East China Sea and the newly made Air Defense Zone created by China over the Senkaku Islands. This is primarily a dispute between China and Japan. Both countries say the islands belong to them. They are believed to be rich in oil and gas deposits. Vice President Biden was sent to both countries to calm tensions. The U.S. says it has sided with Japan, but it seems to have backed off demanding the Chinese drop this air defense zone that stretches for 600 miles. The dispute is far from over. People like multi-billion dollar fund manager Kyle Bass think this could lead to war. China and Japan both have severe financial problems. China and Japan are the number one and number two holders of U.S. Treasury debt. If either country gets mad and decides to sell their debt, it could cause a financial calamity here in the U.S. Sounds like a lose-lose to me if things turn violent. The Syrian civil war rages on, and now there are new charges of atrocities the U.N. says have been committed by the Assad regime. Assad denies the charges, but news is breaking ahead of a peace conference that is scheduled in early 2014 in Geneva. I do not see how these new charges are going to allow Basher al Assad to cut a deal that keeps him in power. That conflict is also far from over. In the latest Obama Care news, apparently, you cannot keep your doctor either! USA Today reported this past week that “Doctors are getting Dropped” from insurance plans. There are also glaring security issues according to computer experts. Some are warning for people not to log onto Healthcare.gov until the site is truly fixed. Meanwhile, the President is out this week telling young people to “be responsible” and sign up for health insurance. The President has taken a big hit in the polls, especially when it comes to young people. Obama desperately needs young healthy people to sign up for Obama Care. It is a key component of it working, and most young people are simply going to pay the fine. Why wouldn’t they? Pre-existing conditions are no longer a problem. You can just sign up when you need medical treatment. Finally, Detroit has been cleared for Federal Bankruptcy. This means union workers can have big cuts given to their pensions. Some of these folks have written comments on the USAWatchdog site and said they opted out of Social security and only have their pension. This is the problem when you get everything you ask for and nothing you were promised. This was a known problem for years. The bankruptcy judge said, “Detroit could have and should have filed for bankruptcy long before it did.” This is what it looks like when you can no longer borrow money to pay your bills. Professor Laurence Kotlikoff said this week, “America in Worse Fiscal Shape than Detroit.” That is one scary thought. Join Greg Hunter as he analyzes these stories and more in the Weekly News Wrap-Up. How liquid is the US debt(bonds) that China and Japan hold? How would a dumping scenario work? Who would want to buy it? It is not “Who would want to buy them?” But, “Who would be forced to buy them?” That would be the Fed. The U.S. Treasury market is the biggest and most liquid market in the world. If China or any other country started to dump their bonds, the Fed would have to step in and buy them. If not, the other two choices are a very big spike in interest rates or default. I have very close friends who are Japanese. Two things I can tell you for sure. The Japanese have a very deep hatred for the Chinese historically, so I would be very surprised if they would ever sit down for any kind of talks to work out their differences over the Senkaukau islands. And secondly, the Japanese signed agreements following WWII to have a limited military, so they depend on us solely for their defense. This is a powder keg for sure Greg. The Chinese have been building up their military for years, so I would not be surprised to see them try and back Japanese into a corner. Revenge is a heck of a motivator. Many of the Chinese leaders have not forgotten what happened to them during WWII. Greg I find myself addicted to your site. I wonder sometimes if many of your readers are as news starved as I am? The mainstream media has turned into a tabloid publication like the “National Enquirer” and does very little hard hitting reporting anymore. I get tired of watching them carry Obama’s water. I can only imagine what the headlines would look like if Bush was still president , and Benghazi , the NSA, and the IRS scandal were going on. At what point Greg did the media decide to sellout the American people? Don’t they realize they will be the first to die, when a totalitarian regime takes power, and no longer has a use for them? Greg you are the only true watchdog of the Republic I can seem to find these days. Please keep your reports coming while we have still have communication, Thank you for your efforts. Lots of bad choices and situations out there. It is only a matter of time when a black swan hits and starts a daisy chain of default. I hope you are taking precautions to protect you family. Thank you for your support. Recent comment by Jim Willie CB (What the heck does CB stand for anyway) thinks that websites like yours, Greg, have a very limited / short life span. What does everyone else think? I suspect Dr. Willie probably meant that the government would eventually find a way to shut us down. I hope he is wrong. Rich – it stands for: Central Banker. What – you thought it was something else…? China wants to control the China Sea and surrounding Asia waters, and you know what, they will. When Nixon opened up China, for the trade, and Wall Street & Corporate America sold our jobs to them in exchange for quick profits, this ugly giant was being made. The treason by Corporate America to deliver cheap goods for quick profits at the cost of our middle class living jobs was unprecedented in history and a blind man could see the consequences of those treasonous deeds. Now China can bribe us, act unilaterally in world affairs, and all without impunity. The American elite may have eaten their last big supper at the China pig trough, this is because when China’s economy gets big enough to self sustain along with their world trade, they will cut the FED loose and the dollar goes with it. At that point the elite will have no choice but to continue to gorge themselves upon whats left of the middle class to keep their fat on, but by that time the dinner will have become low calorie as the middle class will have changed into the working poor. Your website looks slightly different. Great wrap up Greg! I used to remember the saying ‘what’s good for GM is good for America’. How ironic they are both from Detroit. As Michael Synder said in one of his Blogs. Do not laugh at Detroit, they just got there first. I know of Mandela’s checkered past, but his was also a positive force too. Yes, Mandela was a Marxist murderer but he did change during his prison years. Had he not modified his views, South Africa would be Rhodesia (Zimbabwe to people that missed history). While people seldom do change, it is always an option. While Mandela didn’t start a nice man, he end up an Ok Joe. The days are going to get darker and sadder until they reach a level of darkness and sadness that honestly reflects the state of our society and culture today…..which is pretty $#$##@ dark and freakin’ sad if you ask me. You might want to pepper your research with some fun facts about fluoride at some point, just to show how deep and insidious the corrupt forces of greed are willing to pillage us for a few more bucks on the right side of their ledger….you can start your investigation on fluoride next time your at the dentist with a simple question along the lines of, “Is fluoride a topical treatment when it comes to preventing caries?”. Then quietly ask yourself how fluorination of the tap water in order to combat caries makes any sense at all when .00000000001% of the stuff actually winds up being used as intended. Then consider the other fun fact that there is no way to monitor much less control the dose any individual is getting……..a fun little analogy I bandy about when talking about fluoride is saying that the bearings in my automobiles engine need lubricant, so why not park my car, windows down, trunk open and all in a big 500,000 gal vat of oil every night for 12 hours just to make sure those bearings are nice a lubed……..
How do you feel about antibiotics? Just curious. I am a big lover of Social Darwinism. Fluoride is toxic, but then so is water, salt and alcohol. Even oxygen is a toxic. The dosage is the deciding factor. That’s what I hate about these wackos that claim vaccines cause this or that when there is no empirical evidence…and don’t point to the now discredited doctor that phoneyed up evidence like the global warming hockey stick guy. As always, your wrap contains all the stories that the US media plays down. There are so many that need reporting, and you would think that with 3 24-hour news stations, these stories would be covered. 8.5 Trillion missing from the Pentagon accounts. It was a 2.3 Trillion deficit on 9/11. It has grown by 6 Trillion since. Let’s up the budget! This is a long-term objective of ALEC to penalize owners of alternative power (solar and wind) by imposing a new tax of $100.00 a month for the production of energy. Instead of seeing the installation of equipment and the sale of whole energy back into the grid for power companies to retail sell as a capitalistic enterprise, ALEC wants to demonize and tax those homeowners who have installed the equipment for the benefit of the fossil fuel industry. They have even picked the pejorative that will be used, Freeriders. When they make their move next year, you can bet the trolls will be on the internet will be on overtime. Thank you for the comments and links. However, I disagree with green energy article . Why should I pay more for electricity so the Obamachrist can subsidize solar. I believe they people that put in solar should be paid the average rate of generations instead of a higher rate just to meet some arbitrary quota. I don’t support green energy based on some fictitious global warming…branded as climate change just like Obama is trying to rebrand Obamacare. I also think it is idiotic to put alcohol in gas or mercury in light bulbs. So we have wars and rumors of war. My father and I were talking about Obama care and my father says Obamacare is working as designed. My father is convinced that Obama’s goal is the destruction of America. Greg, while many will protest and say Obama is merely incompetent, I agree with my father. He brought chaos to the middle east and abandoned long-term allies. He is doing the same in Asia. He could have done anything he wanted the first two years of his presidency and instead of working on the wretched economy, he passes Obamacare that is a job killer instead of a job builder. At the end of the day, actions speak louder than words. if you look at Mr. Obama’s actions you will find every action is damaging to America instead of strengthening America. Well Mr. Obama is a great demagogue, reality will always trump rhetoric. How much difference does a week make? Last week we supported Japan and defied China’s illegal territory grab. This week we abandoned our ally. Does it reminds anyone of the Obamanation’s red line in Syria? Great article Greg….Detroit is coming to a city near you ! 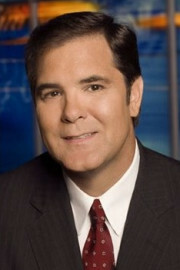 Greg, when are you going to have Dr. Jim Willie on your show again ? Don’t know Joe Gee, but I will have him back soon. LOL! Sickening! And they send Bum Bum Biden to calm the upset in both Japan and China. That way we can insult both to the same degree. But you Greg are doing a great job of informing us! Thank you Coalburner9 for your support and comment. The ‘old’ saying of “pass the buck” is the whole ball of wax for Liberals. Like running a shady business – no one steps up to the plate and takes responsibility: all they do is shift the costs from someone not themselves to someone else who pays the bills. They are NOT in “The System”, but plays the system along side; and becomes profanely rich on the margins. This is WHY they have no compunction about throwing great sums of money at problems: it is always not THEIR money. Thus, your illustration of Detroit being the example of what America is doing – is completely valid. All this administration can do is what has been done for “Education”: throw obscene amounts of money at it; but nothing gets fixed, the problems only worsen. So the ill-conceived ACA, or Obamacare, is nothing different: no one is responsible; and throwing someone else’s money at it is their solution. And the young people should behave “RESPONSIBLY”?!!?? What mentality can propose such absurd hypocrisy with a straight face? It is therefore no wonder the world is beginning to leave America. The Offices of Government can no longer hide the clownish idiocy of those who occupy such positions. And we are sending Joe Biden to fix things between nations?!? The Olivet Discourse offers us this tidbit: “And ye shall hear of wars and rumors of wars: see that ye be not troubled: for all these things must come to pass, but the end is not yet.” So as Christmas comes closer – I say – keep your eyes on the reason for the season: the Lord and Savior Jesus Christ – and be not troubled. Merry Christmas. Yes, Charles H, MERRY CHRISTMAS. I will no longer say Happy Holidays ever again!!! Speaking of taking responsibility Charles H since you are a preacher please tell me one thing. Who is responsible for sin? Great wrap up! The Detroit disaster may be the worst harbinger of all. Your readers know already what the national problem is and I believe many other people know it down in their gut. The problem is people believed these politicians, union leaders, and even Presidents back to F D Roosevelt. Those that have not recognized the real situation still talk about how great they were. I get a pension, I paid earned money into it, it was a contract deal, I get Medicare, I paid big money into it, it was a contract deal, people on Social Security paid, they earned it in a contract deal. These may be unfunded mandates but are not Welfare or give away programs. Now we are all vulnerable to lose it and we All probably will. Oh yes and the threat is there to our IRA’s if we built and saved for one. I worked fron the tenth grade, sacrificing (delayed a car, and dating, the dating delay really PO’s me) for education and good professional job. I always saved and thought about goals, fixed my own stuff, stretched every dollar and now everything is threatened. ??? Oh yes and I am not alone, we are millions and millions. My point is ???? As this mess unwinds and we lose it all, what next? I am not blind and am trying to act to protect myself and my family who of course are in the eight of ten that are blind as a human in the dark. These are the points wealthy politicians of both parties and socialist Obamaites dismiss. We won’t give up easily and they are finding out already. Brother bo sent me this song.. just had to think of you folks. Pursuant to the islands in the China sea, did you see the article at Kingworld from John Ing regarding China’s gold holdings…? Very interesting, but not surprising. This was actually talked about by Willie on your program a few weeks back. It strengthens my idea that an ‘event’ is going to take place sometime in the not-too-distant future regarding gold – specifically, who has it and who doesn’t where powerful governments around the globe are concerned. China will wait until it has in possession and ready to show the world, an amount of gold in its central vault/s that is well in excess of those that the U.S. supposedly has, but will not disclose or allow for audit. The Federal Reserve, the Comex, the LBMA, the ESF, et al., have the U.S. gold market effectively ‘secured’. They do Not however, have China secured, nor even more importantly, a foreign policy blunder by the U.S. and/or, one of its allies, that will push China to the nuclear option – which isn’t nuclear weapons per say, but something potentially even more devastating – a call on the $USD. Very interesting Agent P. Nice analysis!! What goes against your argument is the feds suppressing the gold to move it to China. THE FEDS ARE MOVING GOLD TO CHINA. If it was not for the naked short positions allowed by the feds China will never be able to buy gold at 2500$ and north. 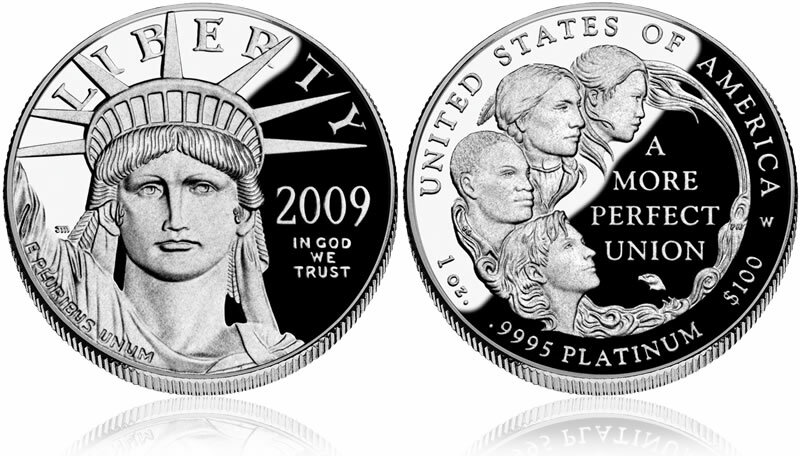 FEDS gave you a hint to what am saying on their 2009 platinum eagle, look who is on the top and who is on the bottom on a coin struck by the US MINT!!!! It is important to re align forces accordingly. Good wrap up EXCEPT for the warm goodbye to the communist murderer . What will you miss more about Mandela; the way he bombed innocent targets including the children s wing of a hospital or his special gasoline filled tires he lit on fire while around the necks of his political opponents. THINK before you start throwing around “warm” goodbye. That is the type of man you place on high…. Do you know why don’t Gold mining companies start paying dividends in gold and silver instead of fiat? All of them. As far as I can say, this would be perfect solution against this massive gold miner takedowns. For example, few milligrams per share. First, this would cause people to start buying those shares for sure and if they continue crushing those stocks, ..in that case with each takedown, the share becomes more valuable to buy as this almost removes miner from the manipulative fiat system and starts having life on their own. It looks like it is easier for gold miner to get gold then to get fiat for dividents. More you think about that, better it looks. I see no better person to initiate worldwide dialogue about that but you Greg. Hosting a miner CEO and having a conversation about that would be awesome. Greg, what are your thoughts on this? Also, why would people keep Gold Miners shares with brokerages and instead start pulling them out. That would also block manipulations and cause all Gold mining stocks to rise and brokerages will be forced to purchase back those shorted shares on the open market as my gut is telling me the gold shares are “ponzied” too like gold on comex, as basically having shares with brokerages is like not having them at all, it is just a computer entry while brokerage has them all and does anything they want with them. I am not big on the miners because of brokerage exposure. Many say the safest play is to hold the metal. Thank you for your questions and support. Jim Sinclair is taking a big punishment on his papers, am not sure how can he afford mining. It is freaking sad day for miners and paper holders. I am really tired of comments from the knowing, smart, aware contributors about the rest of us who are uninformed, “Boobus Americanus”, sheeple and any number of other derisive names. Everyone does a great job criticizing and describing what is wrong, what can go wrong and what will go wrong. What is lacking here and on every other site are any answers. ALRIGHT! I am aware. I know all of the things covered here and elsewhere. We are bankrupt, pensions will be lowered to pennies on the dollar in Detroit, China has us by the gonads, the gold in Fort Knox likely isn’t there, China has all the gold, Japan can ruin us the same as China, Obamacare is a job killer (there are jobs left to kill?) and awful for America, we are at war all the time, and on and on. We will continue to describe all that is wrong and complain Americans are ignorant and/or don’t care. I have come to the conclusion we have no answers to any of these problems. What am I supposed to do about all of these problems? We have a do-nothing Congress and continue to re-elect them or elect more of the same. They line their pockets and do nothing for this country. What are we to do about them? I want some answers but I have not seen any. How about armed rebellion? That’s a laugh. If all hell breaks loose people will be more concerned with looting stores than fighting the government. Besides sitting in front of your computers smugly referring to everyone else in the usual derogatory terms, why don’t you present some realistic solutions to all of these continuously described problems facing this country. What are your plans for healthcare, fixing the economy, bringing jobs back, the China/Japan dispute, Syria, etc., etc. This country is going down and it is too late for us to do anything about it. Agent P has a clear understanding of what America’s future is. Isn’t amazing how the masses are taken in by the mainstream media propaganda about Mandela. 1. Mandela the 6ft. 4 inch head of the terrorist unit that bombed and killed innocent people. 2. Mandela the 5ft 9 inch “all peace and reconcilliation” that left prison. Still think they are the same person? They give everything up to their lives, and we dispose of them like garbage. Well done Greg for your ongoing coverage of our messed up world. I enjoy your great guest interviews, sensible level-headed commentary and the way you actually take part and respond to these comments. Merry Christmas to you and yours! Thank you for the kind words and support. There is a dual threat, or potential threat, for all of humanity in the same two sides of the world – the Middle East and the Far East. In the ME, not only is there the dreadful Syrian conflict and the potential war against Iran which could have calamitous results for the whole world, but there is a mysterious novel virus called MERS-CoV that is of great concern in the ME, primarily Saudi Arabia. There have even been some infections in Europe. This virus has a potential to be a global pandemic, especially if it mutates. It also, variably, has a 40% – 50% mortality rate. In the Far East, there is the Senkaku Island tensions. Obviously, a war between China and Japan could devastate the whole world as other nations would inevitably be drawn into it. Concurrently, there is the novel H7N9 (and H5N1) virus infecting mostly mainland China, but has also sickened people in Hong Kong, Vietnam, and a few other parts of SE Asia. The mortality rates on these viruses are also high. These viruses also have the potential to be a global pandemic. Regarding the Assad regime, I do not necessarily trust reports coming from the UN. That organization if just a group of criminal puppets for the Bank of International Settlements and certain geo-political movements. But to play Devils Advocate, let’s say the Assad regime is “slaughtering a bunch of people”. We have to keep in mind that these people are murderous, terrorizing, ruthless mercenaries . Who is anybody to say Assad cannot protect his nation and people from such terrorists by any means necessary? As “Outlaw Josey Wales” said, and I’m paraphrasing, “when things get bad, and it looks like you’re not going to make it, then you got to get plum mad dog mean”. What man would not use any means necessary to defend his house – his family – from a band of evil rapists and butchers invading his home? Good points in your wrap-up, Greg. Thanks for your work. PEACE ! Obama Care means one thing only – More Human suffering.